St Mary's (Church of Ireland) Killarney, is a beautiful church in the heart of Killarney which serves a small congregation as well as tourists. There is evidence as far back as the 1200s of a Church in this area. More significantly the name of the Town itself Killarney (in Irish: Cill Airne) means Church of the Sloes. The "Church of the Sloes" offers you a warm welcome. Our Church is open to people from any and every Christian tradition or of none. Ourselves? 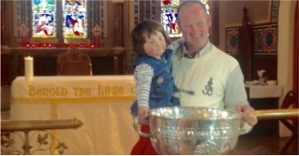 we are Anglican, part of the Church of Ireland. Once again this Summer Season the Church will have a short Communion Service each Sunday at 9:30am especially for those who've booked a "Ring of Kerry" trip that day. 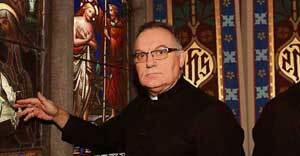 International appeal for funds to repair centuries old stained glass windows damaged by vandals. View Larger Want to Book a Concert? 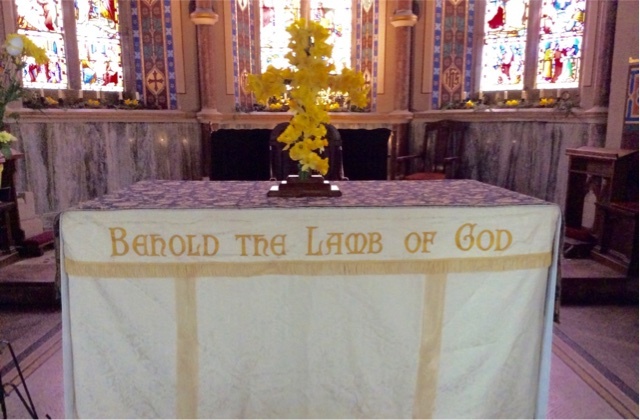 We have a main service, usually Holy Communion, at 11am each Sunday. 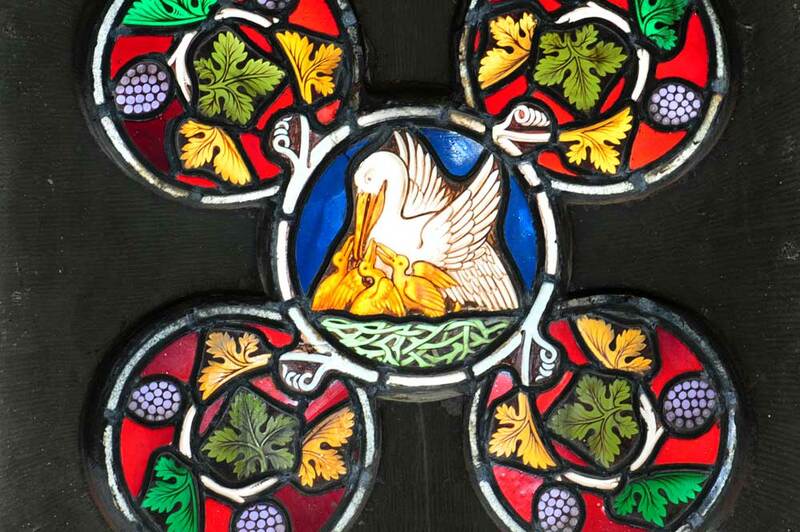 During the summer season (May-Sep), at 9:30am each Sunday, we have a short service of Holy Communion for visitors. We call this our "Bus Service" because it is especially arranged for those who have booked on the 10:30am coach trip round the famous Ring of Kerry. Other special services, e.g. 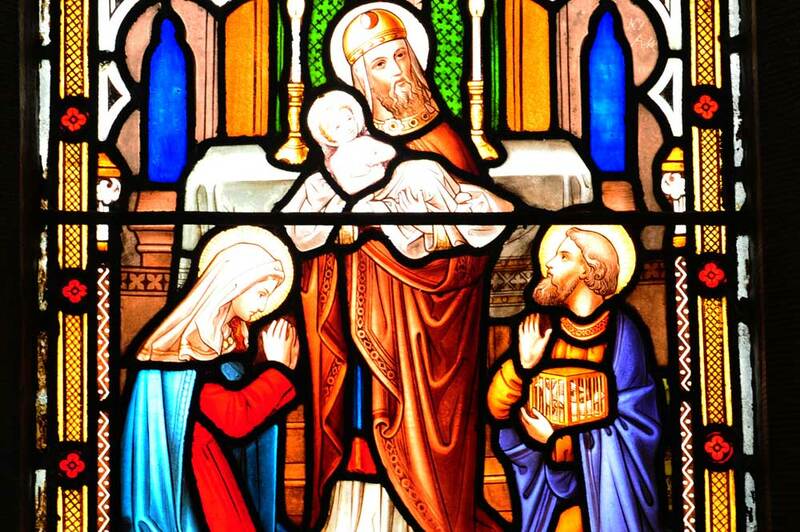 at Easter and Christmas, are announced on the Church noticeboard and in the media. We welcome every visitor to Killarney, to join us at our worship. 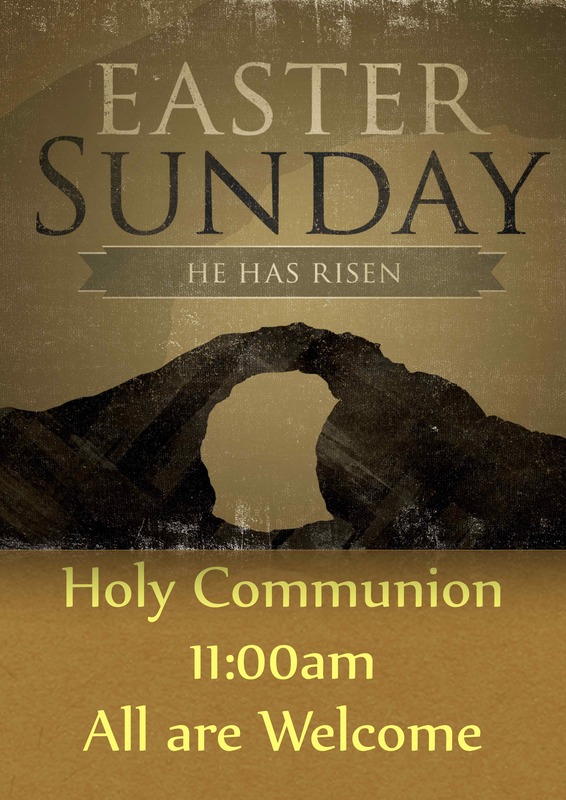 If it is your tradition and practice to receive the Sacrament of Holy Communion in your home church, and you would like to do so with us, you will be warmly received and enjoy a full part in our service. 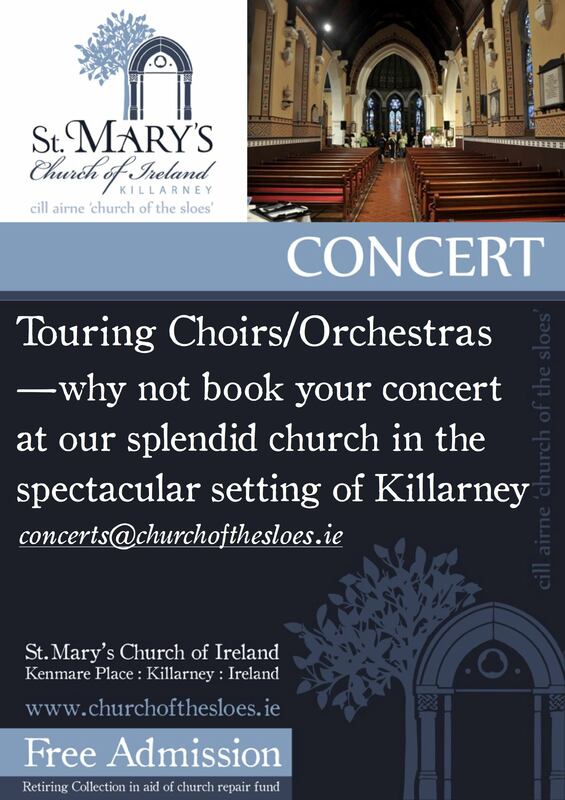 Our only concern is that you feel that God welcomes you to Killarney. We have a special place set aside in the South Transept for quiet and private prayer, where you may light a candle for any special concern you have. It's flame will carry your prayer for you as you continue on your journey. There is also a book in which you can write your prayers, these will be placed on the Altar during Sunday worship. 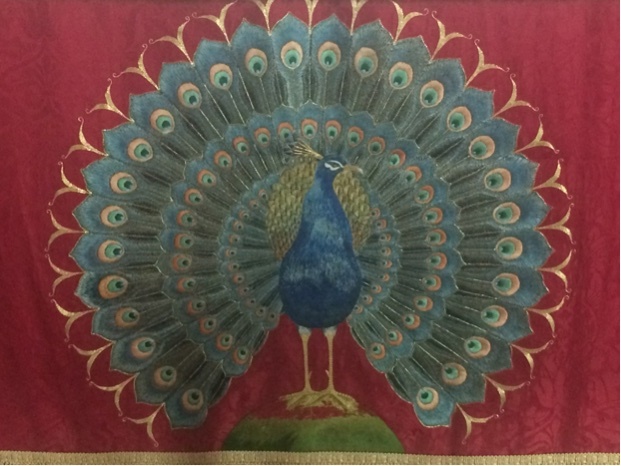 The Altar is normally covered with a fabulous embroidered cloth on which is represented the Peacock, an ancient Christian emblem of resurrection. During the tourist season Mar-Oct we offer a series of free evening concerts. 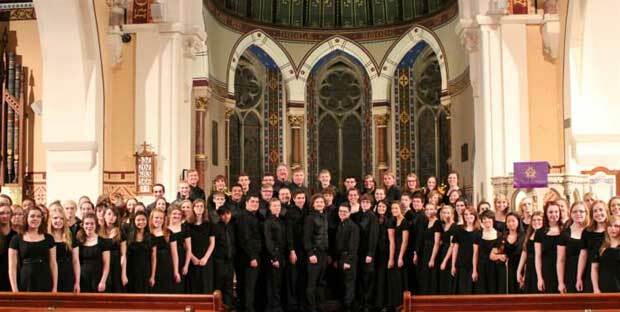 These comprise either visiting choirs/orchestras from around the world or local artists. They offer a range of sacred and classical and cultural programmes. 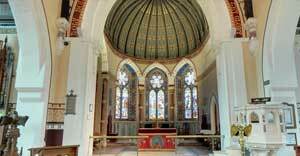 Our Church is famous for its wonderful acoustic and musicians are keen to enjoy the beauty of building. 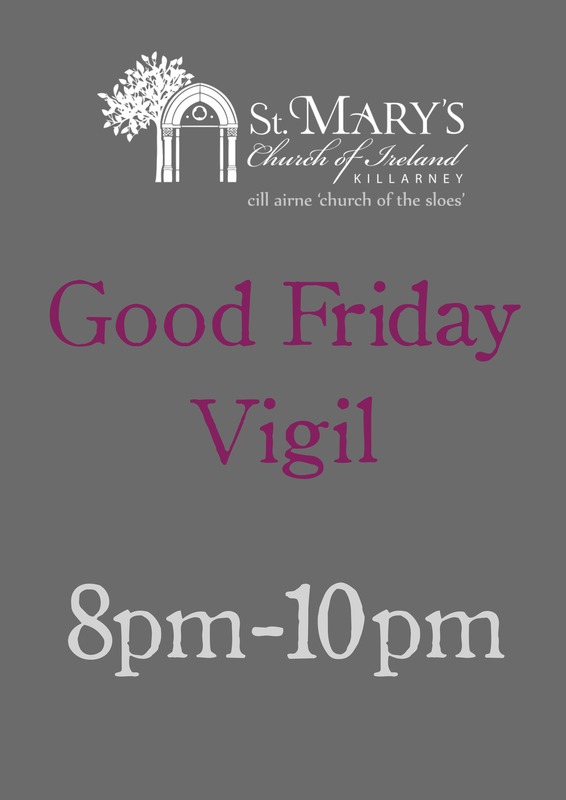 Concerts start at 8pm; concert posters are on our Facebook page (above) and our Google+ page (icon below). 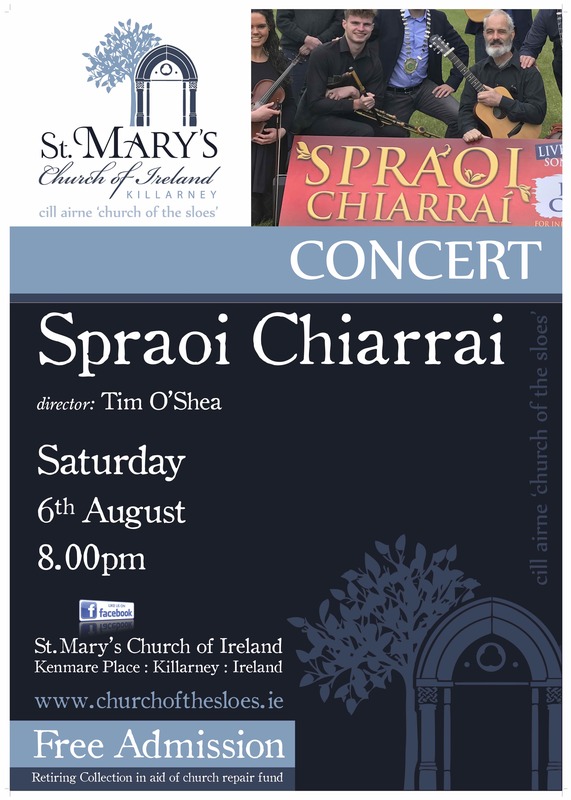 Most especially our Church hosts the highly regarded Sproai Chiarraí concerts each year. 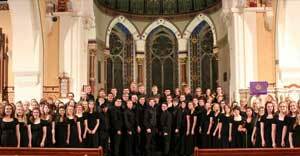 These offer local young musicians the chance to give their first public performances and both excite the concert-goer with their amazing musical talents and gain valuable experience in their art. We cannot keep the building properly maintained and looking as beautiful as it is without the generous help of our visitors. The concerts are our main source of income because of the generous donations that concert-goers make at the end of the event. We hope you'll agree with us that the building is well worth maintaining for future visitors to enjoy, just as you will when you visit us. 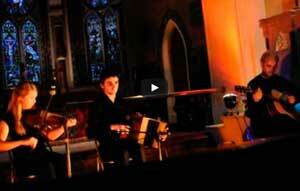 For some concerts we charge an entrance fee payable at the door 1hr prior. 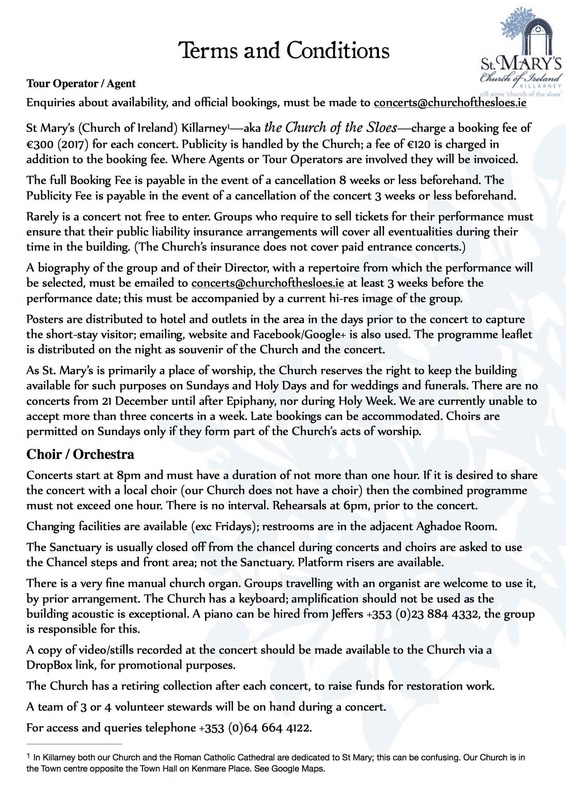 For insurance and safety reasons the church is closed to sight-seers during concerts. 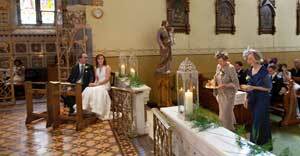 Perhaps you want to have your wedding in Killarney and one of you has links to the Church of Ireland or its affiliates; contact us to discuss your requirements. Precedence is given to local people and to people having a tangible connection with Killarney. Anyone wishing to marry in our Church must have fulfilled the relevant statutory requirements (see here). We require couples to undertake a one day Marriage Preparation Course here in Killarney in the 3 months prior to the wedding. 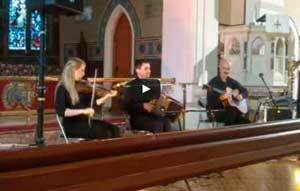 Fees can range from €800-€1500 depending on additional inclusions eg organist. Whilst we recognise that we have a lovely church in a beautiful setting it is not always possible to assent to every request. Weddings in an outdoor setting must honour the dignity of a religious ceremony; we reserve the right to transfer it back to the Church should it rain (which it often does in Co Kerry!). Our priority is always to honour the sacred nature of the ceremony. Our policy can be downloaded here. Blessings of civil marriage are available in most cases. 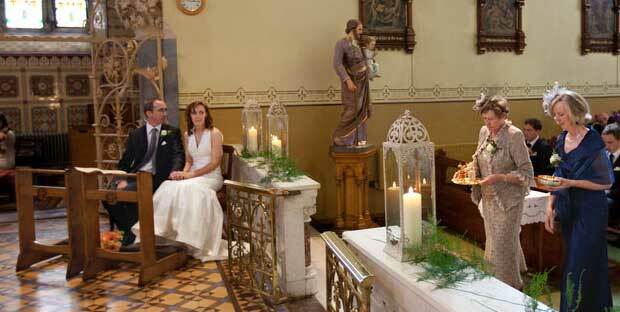 We also welcome those who wish to mark a special anniversary with a Renewal of Vows ceremony. In either case you are invited to contact us even at short notice (eg you're on your tour already!). 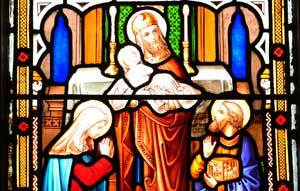 If you want yourself and/or your child baptised into the Anglican tradition, enquiries are welcomed. There is evidence as far back as the 1200s of a Church here. 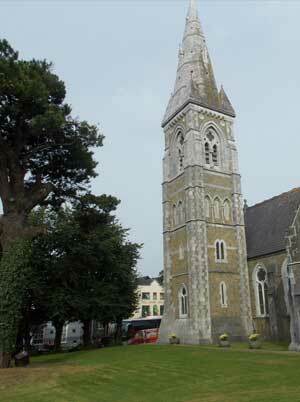 The name of the Town itself—Killarney (in Irish: Cill Airne)—means "Church of the Sloes". The Irish word for wood (coill) could easily have been adopted in an altered form to describe the wooden huts the early hermits would have built for themselves. Thus the word "cill" becomes associated with a spiritual place of prayer: ie a church. This suggests that there was an ancient church built in this area and the presence of the Blackthorn tree was significant to the local's and their pre-Christian religion. Blackthorns sometimes grow near wells; and there is a Holy Well just across the road from this Church. It was the habit of the early Christians to claim the spiritual heritage of the local people and morph it into a Christian format. It is the beauty of St Patrick that he understood the inherent spirituality of the Druidic culture into which he was enslaved; so when he turned he could readily use the forms and modes of the former religion and point to their equivalent, their explanation in the Christian religion of union with God. The are is redolent with the scent of early Christian history, particularly: Inisfallen (the island in Loch Leane—Killarney's largest and the lower of the three lakes—named after St Faithlinn and on which a monastery grew and which not only produced the Annals of Inisfallen but also educated the great Irish King Brian Boru); Aghadoe (which is one of the earliest of the local dioceses of the Christian Church); and Muckross Abbey (where the Franscicans established themselves in 1448). The area is one of great beauty and of inspiration to both non-Christian and Christian sensitivities. Indeed all human beings are inspired by the beauty of creation and the creativity of humanity, irrespective of one's spiritual allegiances. This is that same capacity, which we all share, of connecting with God in creation through the beauty of what we see; we experience it in the heart. We are all, at heart, Celtic. The establishment of a church on or near the sacred heart of a community is a standard technique in the early era. This then becomes the location of subsequent churches serving the community. Thus the early representative of the Christian faith, set in stone, had an Anglican flavour. 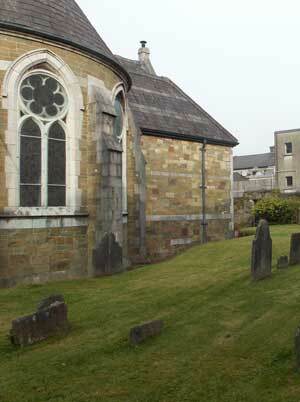 Even today most of the ancient churches are curated by the Anglican Church's successor; the Church of Ireland. This legacy of stewardship—of Killarney's Christian heritage—falls to us on behalf of all of Killarney. 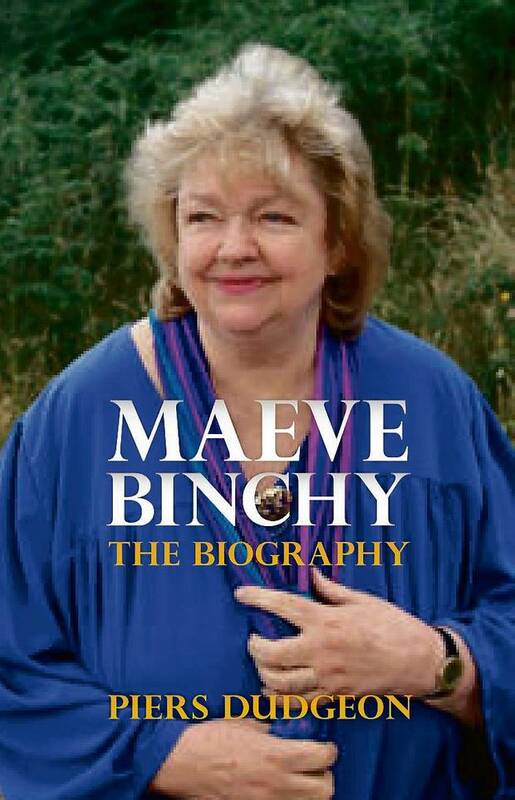 This heritage belongs to all Christians of whatever flavour, and to all Irish of whatever faith. The establishment of the Town as a tourism destination by Lord Kenmare in the 1740s marks the beginning of the modern era. This is the modern distinctive of the Town and the area. 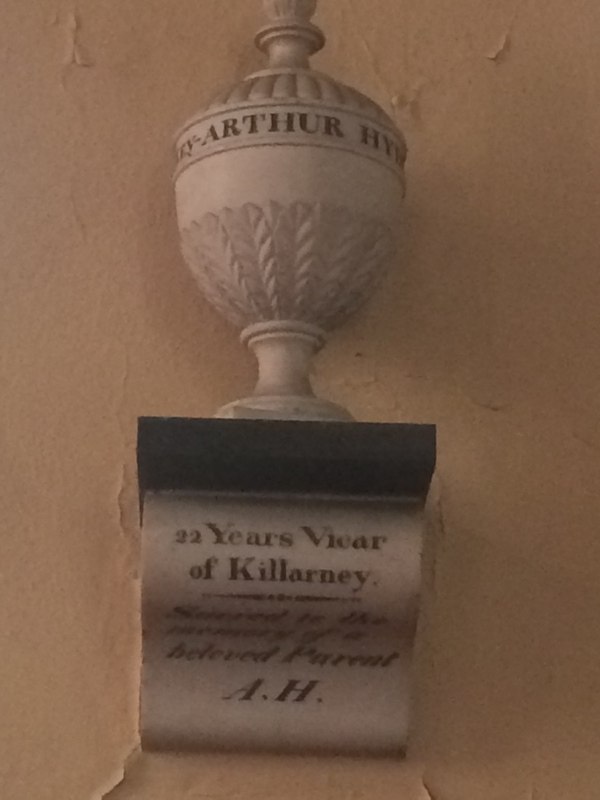 That Queen Victoria chose to come to visit Killarney and the great estates signifies both a great boon to the Town and its economy but also, arguably, the downfall of the great House on the other side of Kenmare Place from the Church. It was the inability to sustain the estate and its grandeur that precipitated the gift of the estate to the nation. Thus it becomes Ireland's first and greatest National Park. 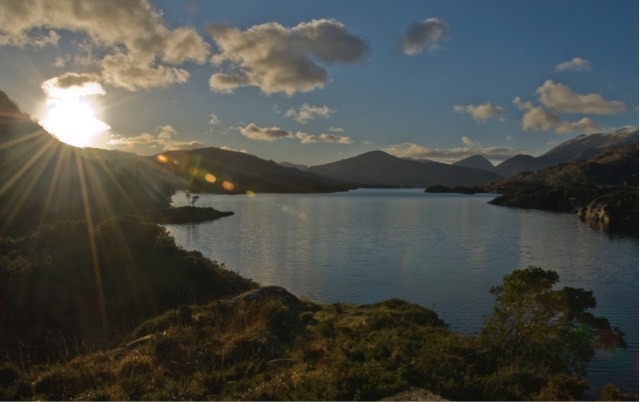 It is not only the natural heritage that makes Killarney a special place to visit. It is also its important Christian heritage that adds value to the experience of every visitor. The Annals of Inisfallen were written (mostly) in the Monastery on the island in the lake here. 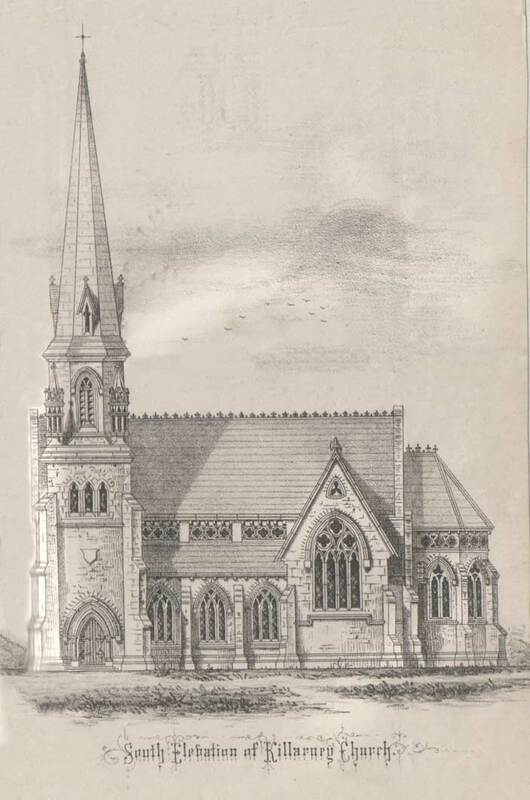 This current church was built in 1870; on the site of previous churches. 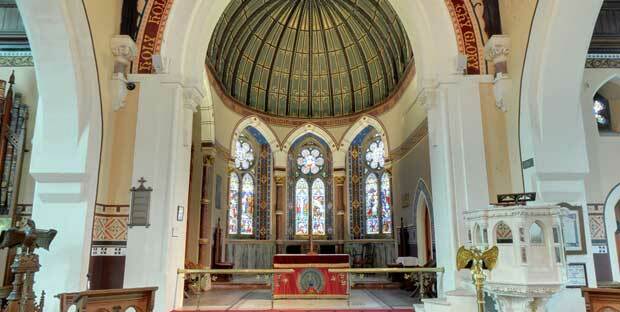 It was adorned by the Herberts of Muckross House and houses a fabulous pipe-organ and has a renowned acoustic. It is decorated in a most attractive and unusual stencilled design and has sacred texts written in the high arches. 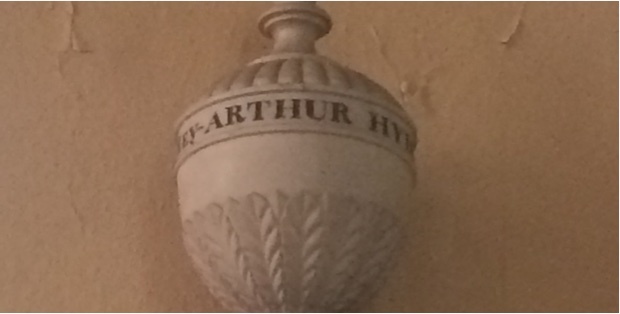 The image above is of the memorial urn erected to commemorate the life and ministry of the Revd Arthur Hyde, 22 years Rector of Killarney. 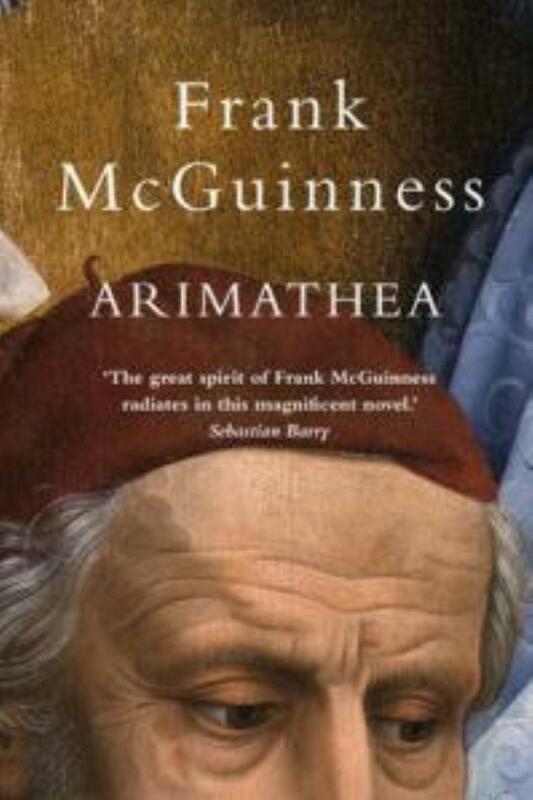 His grandson—Douglas—was elected the first President of Ireland in 1938-45. So it is to this backstory that we look for significance and meaning, interpreting the history and story of these parts so as to understand the present and map the future. The Town is renowned for its tourism potential and well visited by vast numbers of people from around the world. This Church is the spiritual successor to this backdrop. This Church of Ireland building is dedicated to St Mary the Virgin, Mother of our Lord, Jesus Christ. It is located at the heart of the community, situated between the hotel sector and the shopping area. 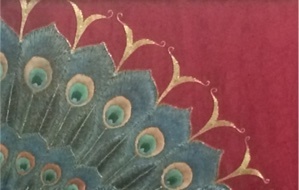 We see visitors everyday from many nations and religions who come to marvel at the church's decoration and adornment. 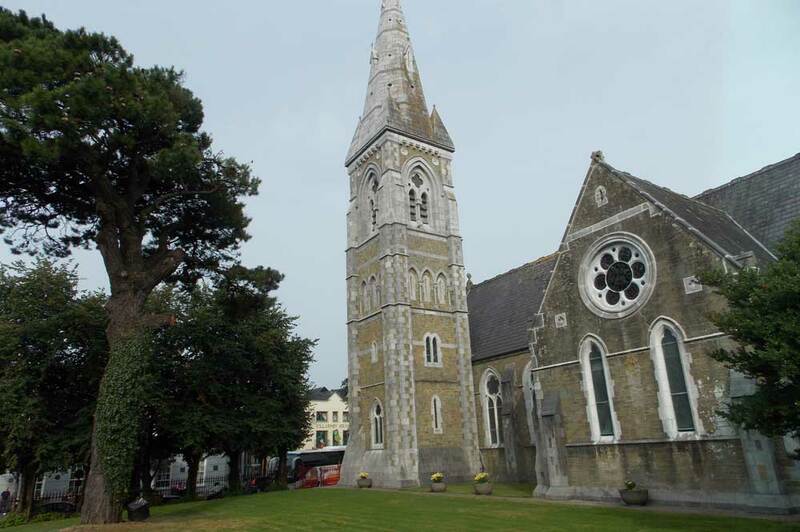 Our Church can be found on Kenmare Place, at the bottom of Main Street, opposite the Town Hall and adjacent to the Plaza Hotel and the Jaunting Cars "terminus". 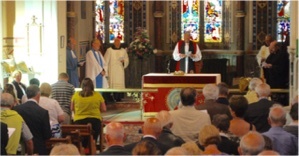 The congregation of this church is drawn from those who feel at home with the Anglican form of Christianity. The regulations that require old buildings are maintained to preserve ancient art and craft mean the building is enormously expensive to keep in good repair. As stewards of this responsibility we rely on the help of the community locally, nationally and internationally to keep this building in a fit state for the future. Our duty as a Church is to show the love of God to all and to maintain the legacy of memorial granted us by the past. In order to do this we have capitalised on the interest shown in our building by tourists and locals alike. Part of our mission is to offer an insight into the presence of God in all of creation, and in this particular locale, by making connections and links for people. That is why, as a service to the Town and people of Killarney, we are placing the spiritual significance of the Town's name centre-stage. So on behalf of all the people and commerce of Killarney—past, present and future—we have branded our building "The Church of the Sloes". Our intention is to represent the whole Town in presenting the spiritual backdrop of our presence in this land-scape thus giving added value to the visitor's experience, highlighting the God-given spiritual essence of brick and branch, of window and water, of flesh and foliage. 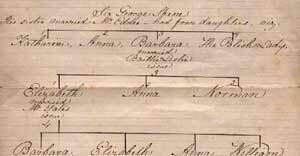 Despite there being records of churches before the 17th Century we have no data on the names of earlier Rectors. This is the list from then onwards. You will see memorials and references to some of them around our Church. In January 2015 there was a large public outcry when the Town heard that an act of drunken vandalism had destroyed one of the stained glass windows in this beautiful church. The damaged window was of the Nativity of Christ; it is the first of 3 pairs of windows in the Sanctuary of the Church. 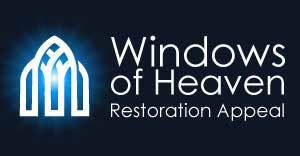 The very high cost of restoring such windows is due to the fact that the old skills that made the window are not common today and much work is required to get the pigments and firings correct to match the original in tone and style as closely as possible. 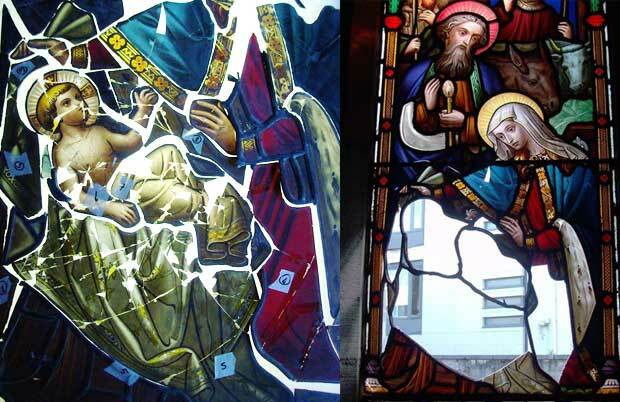 By the end of 2015 the severely damaged stained glass window of the Nativity was restored to a very high standard. It is virtually impossible to tell it's not the original. Thank you to all whose donations made this possible. We continue with the work of restoring the remaining windows. 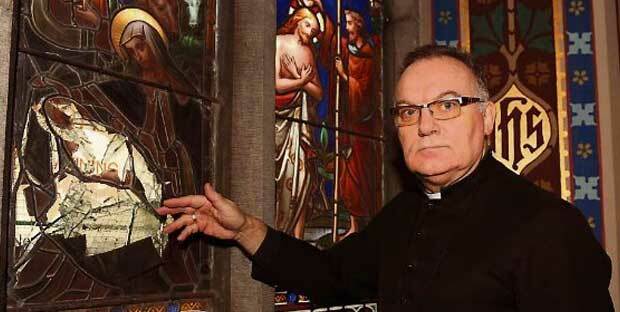 The protective glazing which was installed some 30-40 years ago is not strong enough to protect against the extreme violence used on this occasion. 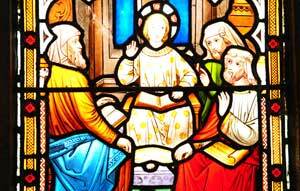 A subsequent inspection of all the stained glass windows has revealed that many of the windows are warping. This is because the old protective glazing was sealed; just like double-glazing. 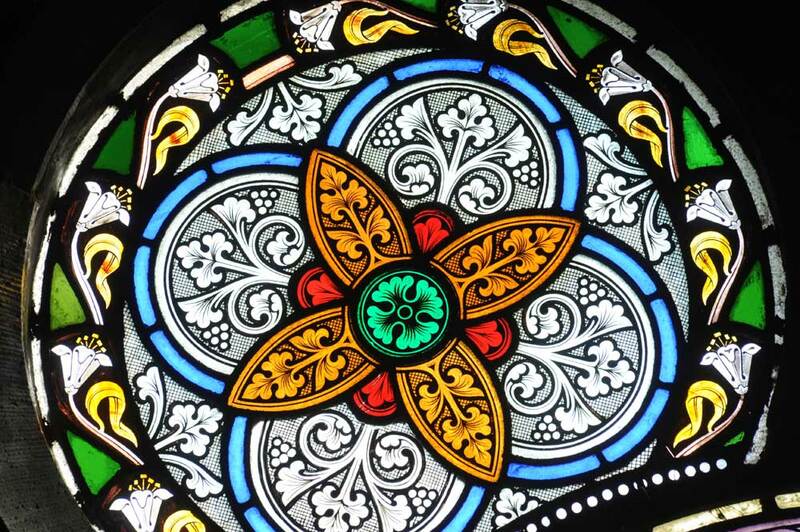 The temperature between the glazing and the stained glass window soars and the lead—that holds the stained glass in position—softens. Many of our windows are sagging and in danger of collapsing. 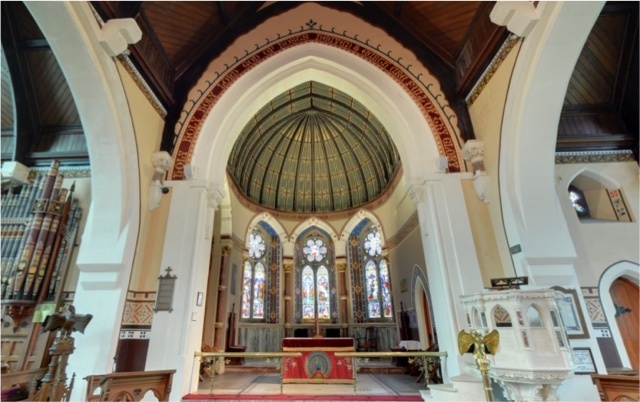 Therefore a funding appeal was launched to raise €50,000 to replace the protective glazing with stronger laminate glass and include ventilation, and to restore the warped stained glass panels. 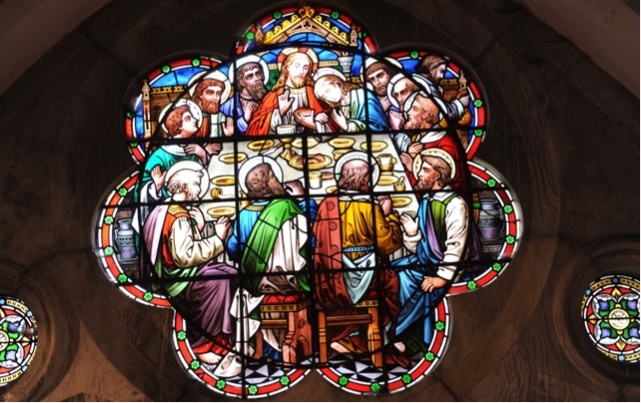 If you're planning to come to Killarney and want to visit our Church to admire these windows, or if you've been before and remember being wowed by them, please make a donation on the link below. We're very grateful for the generosity of our visitors as without that we couldn't keep this building in good repair for future visitors and generations to come. "DONATE HERE : Windows of Heaven Appeal"
When this Church was built in the 1870s the layout of the local area was similar to that which you will see today. The old Killarney House extended much further; what you now see was the old Stables of the much bigger house. 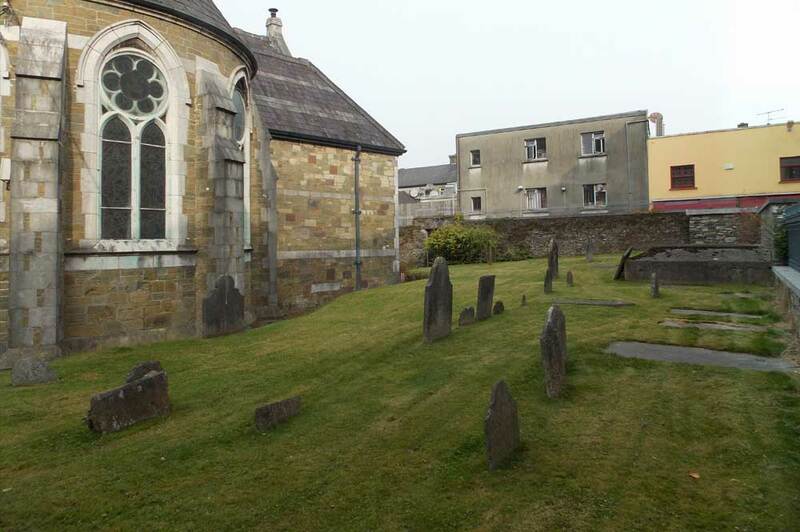 In this context was set the iron railings around the edge of the churchyard, marking the boundary with the road now called Kenmare Place. These iron railings have survived for over a century. A few years ago there was a vehicle crashed into the railings, partly demolishing a section on the corner opposite the Plaza Hotel. This was repaired. It then became obvious that the rest of the railings were in a very parlous state, rusted and broken and looking very shabby. However, the Church did not have the means to fix them. 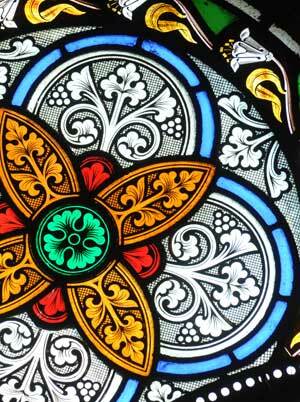 Indeed the restoration of the stained glass windows became our main focus. 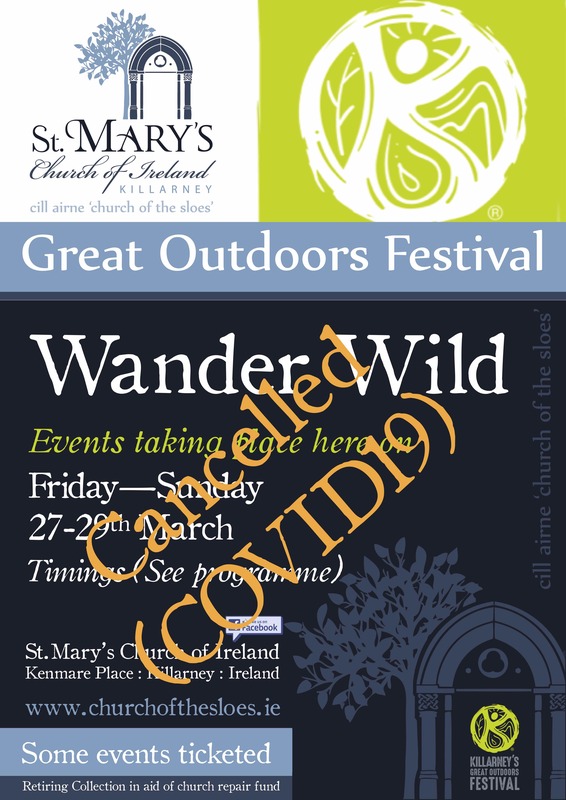 So late in 2015 the Killarney Chamber of Tourism and Commerce and the Killarney Looking Good Committee approached the Church with a proposal that a joint effort be made to restore the railings in time for St Patrick's Day 2016. This meant raising donations and materiel support in excess of €80,000 in the space of 4 months. Many local companies and individuals donated equipment, construction and ironworking skills to the project and others donated monies. The project was completed success-fully ahead of schedule and to much popular acclaim. The grateful thanks of the community and the visitor alike are freely given to all whose generosity and hard work made the project a resounding community success. Without this community support the restoration of these antique railings could not have been achieved. In the summer of 2016 two small projects were undertaken, designed to enhance the appearance and comfort of the church. All the pews were given high quality and comfortable cushions. The fabric was provided by Kerry Woollen Mills. The fundraising for these Pew Cushions was given the innovative and tongue-in-cheek title "Phew! Cushions". The lighting in the Church had been high energy floodlights; they regularly failed and were not efficient. So, from Church funds we have installed LED low energy flood-lighting. The ambience of the Church is now much warmer and light due to this upgrade. Further improvements will be introduced in the future in the way certain features of architecture and decoration are lit. The next upgrade will be to the sound system, to make it more adaptable for use in concerts and weddings and for general daily use and worship. More modern technology is now available that will assist in the development. This will also facilitate, with the new broadband link, the ability to stream services and install web cams. Currently the Church is secured with the use of CCTV cameras. 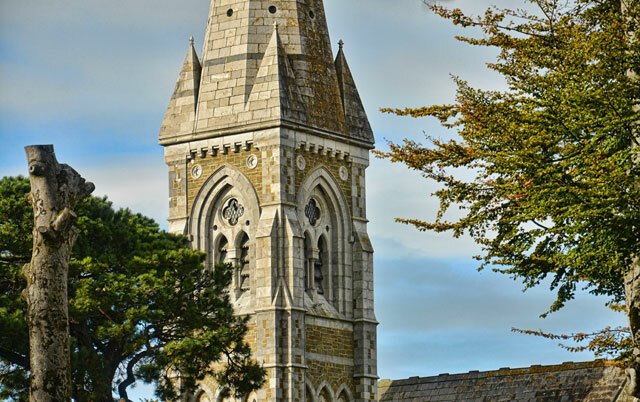 The location of this Church, at the heart of the Town, relates the centuries-old spiritual heritage of Killarney to the modern community in a way that transcends the historical differences between different church traditions. 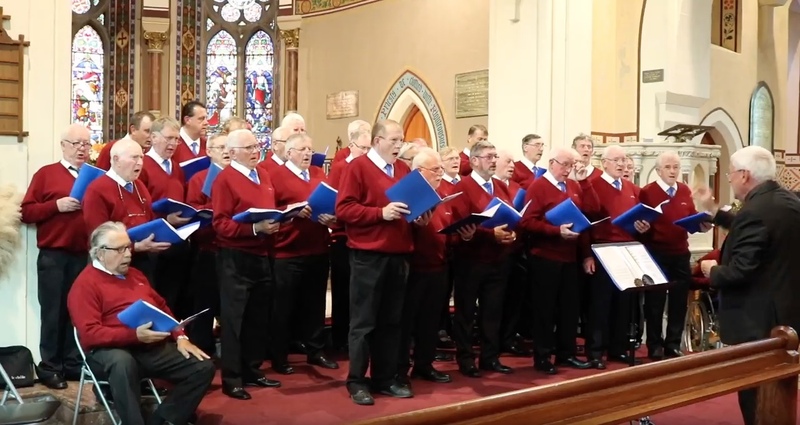 Therefore, this Church represents the spiritual heritage of all the church traditions resident in this vibrant community and indeed the pre-Christian tradition of this land, without which Celtic Christianity could not have flourished. 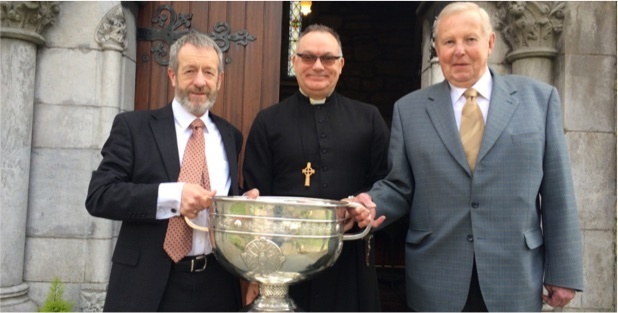 The picture is of the Sam McGuire Cup which Kerry GAA team won in 2014 and which was welcomed into our Church on Easter Day 2015. Two particular innovations that relate closely to the fact that this Church is between the hotel sector and the shopping sector of Town are the "Prayer Corner" and the summer season service of Holy Communion for visitors, known as the "Bus Service". The introduction of a high quality stand for candles in the side aisle was aimed to provide visitors with the space to sit quietly in prayer in a manner they might do at home, where the lighting of candles as tokens of prayer is widely used. We find that our Church is treated by Catholics and Protestants alike as if it were their own. So the lighting of prayer candles is a vital part of our making space and honouring the traditions of our many visitors. 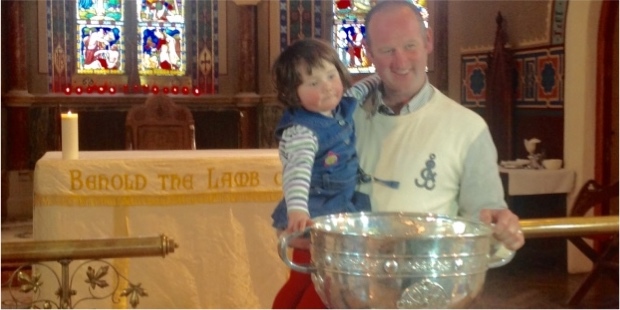 This tradition is not widely practiced in the Church of Ireland. It is in this way we welcome you, the visitor, to share a spiritual moment with us on your journey through the fabulous landscape and heritage of Kerry. 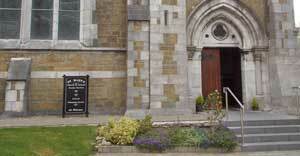 The establishment of a short service of Holy Communion at 9:30am on Sundays during the summer season is specifically for the visitor who is only in Killarney for the weekend and must maximise their experience with a trip on the Coach Tour of the famous "Ring of Kerry"; the coach leaves from outside the Church at 10:30am. So having had a good Irish breakfast the visitor can avail of the chance to share in sacred fellowship with God and others and still have time to climb aboard the Ring Tour Bus. This is why we call this short half hour service the "Bus Service". In this way we hope to engender a subliminal awareness of God's presence both in the landscape and in the heart of the visitor on the coach. 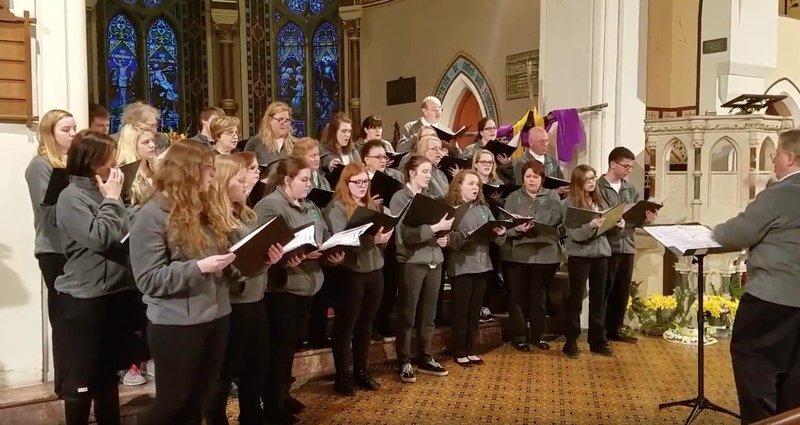 The major development initiative of our church, which has built upon the decade of experience of hosting free concerts for the visitor and resident alike (join us on your visit and experience the fabulous acoustic of our beautifully decorated church) is the "Spiritual Tourism" project. To start with we launched our tourism brand with the logo—featuring our porch door and a Blackthorn tree—and adopting the spiritual name of the Town—Church of the Sloes—that is the sloe berry which comes from the Blackthorn tree. In this way we can operate alongside the other tourism destination attractions matching their quality with the excellence of our own publicity. 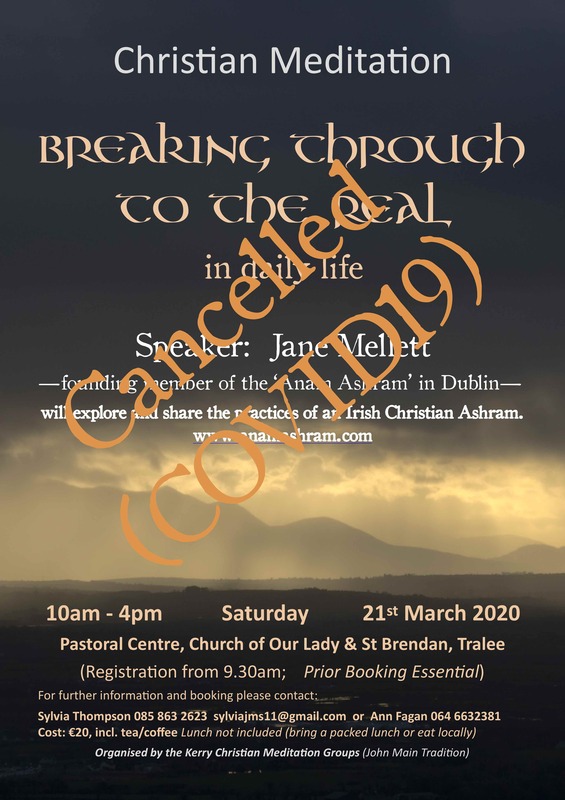 With this as our baseline we intend to build the "Spiritual Tourism" project as a way of helping the visitor to access that very same inner capacity to sense God in the landscape and in the moment, just as the early Celts did before and after the days of St Patrick. Ever wonder what that feeling is that you have in your heart when you're inspired or excited by something you see or hear or experience? Well that is a communication with the divine; a resonance with the spiritual in the ordinary. It is the stuff of every day in the tourist journey. We intend to make this explicit in the minds of visitors and residents and not just a feeling in their hearts. You're touching God; you're being Celtic; this is what being Christian is about. The church offers occasional tours on Saturdays in the summer season (May-Sep). 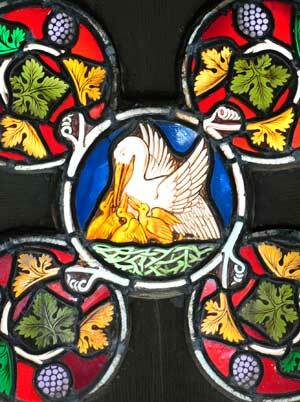 Come and see the vibrant stained glass windows of our Church. 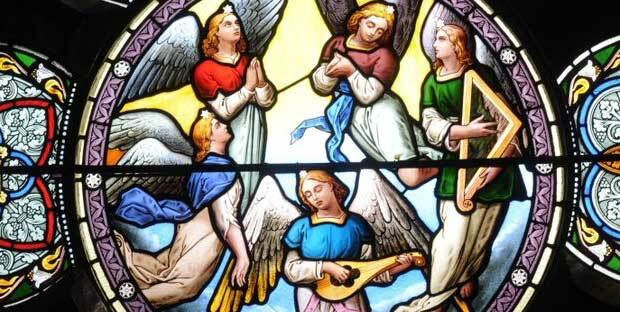 The windows are mostly from a single studio of William Wailes, in the Northeast of England, and dated to the 1880s. 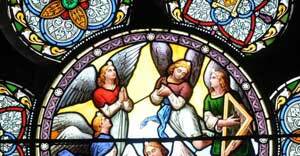 There is also a modern stained glass window in the South Transept created by Ildanach Studio of Boherbue, Co. Cork. 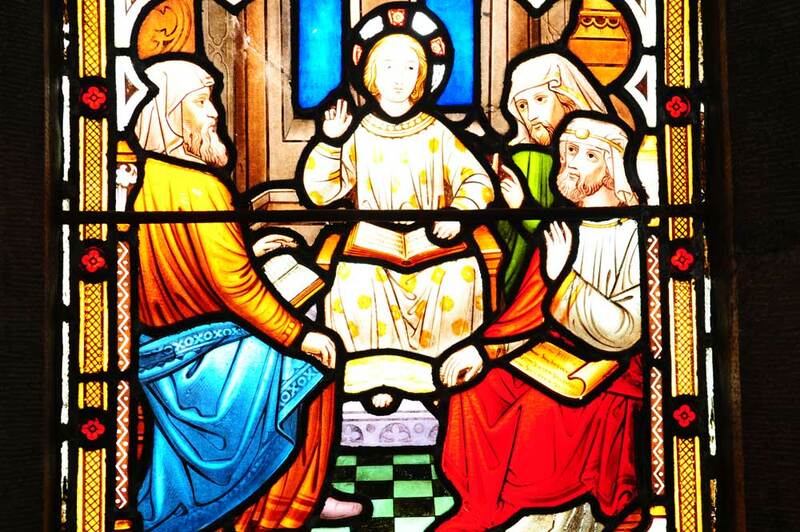 One notable and rare stained glass window is a copy of Holman Hunt's "The Light of the World" painting. Another is thought to be the likeness of a young woman, in whose honour a window is dedicated; she's the daughter of Jane, the Countess of Bantry (formerly a Herbert of Muckross House). 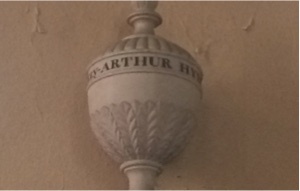 We also have a memorial urn to a former Rector of this Church who is the grandfather of the first President of Ireland. Some memorials date to earlier churches on this site. The image above is dedicated to Charlotte Wynne in 1881; she's the daughter of another former Rector of this Church. 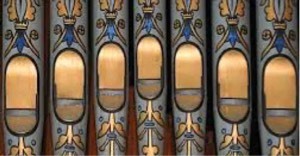 The stained glass windows, along with the pipe-organ and the decoration are a must-see attraction in our Town. You should allocate an hour to savour the wonders of this church’s decoration and ponder its windows. Whether you're here during the week or manage to time it so you can join our tours on Saturdays; you'll be pleased you gave time to it. The Church of Ireland archives are held in Dublin and any enquiries should be made first following the advice given on their website here. Researchers must avail of the guidance given here as there will be costs incurred by your research. 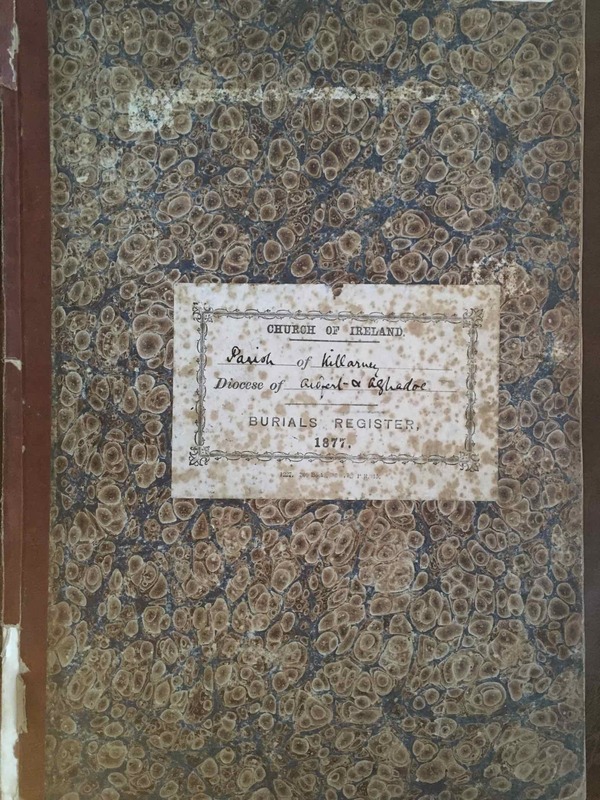 Altogether 6 volumes of Killarney's parish registers, comprising baptisms 1782-1880, marriages 1784- 1845 & burials 1783-1880, were destroyed in the fire in the Public Record Office of Ireland in Dublin in 1922. There are no indexes for those dates. 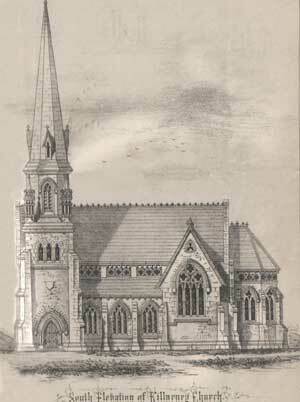 Records relating to 1883-1915 are held in the Dublin Church Archive. 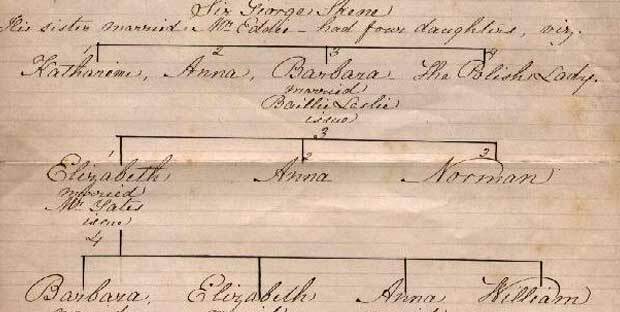 For records pertaining to County Kerry as a whole, please consult My Kerry Ancestors. If you seek detailed searches of current registers, for the purposes of obtaining replacement certificates, you should contact us here to ascertain the current fee. A brief check will be made of the index to ensure there is a valid record; certificates will be issued on receipt of the appropriate fee. For those who've had a service of Baptism for their child in our church and require a certificate for the purposes of registering your child for confirmation please contact us here. Our Church in Muckross has been converted into a Venture Centre for youth and/or adult groups of upto 42 people in bunk-bed dormitories. 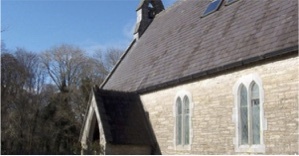 The church remains in use as a place of worship at special times of the year. The Centre is often booked by adult groups on training and educational trips or doing outdoor team building. Groups should supply their own projection equipment if required. For bookings click and download here. The four Ground Floor Dormitories comprise 1x3 bunks; 2x4 bunks and 1x9 bunks respectively. The two first floor dormitories comprise 4 bunks and 18 bunks respectively. There are five showers downstairs. There is a fully fitted kitchen and a large communal dining area that doubles as the group social and work area. There is ample parking at the side and rear of the building, plus grassed areas for group activities and games. The Centre is ideally placed on the Muckross Road for easy access to the main entrance to Killarney National Park (with the famous Muckross House and gardens which are well-worth visiting). Further south is access to Kenmare and the southern part of the Ring of Kerry. 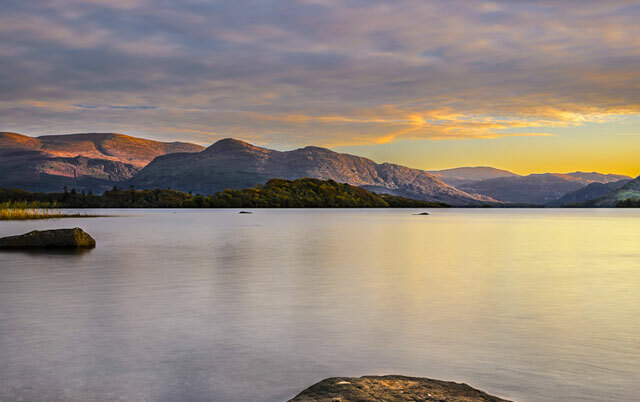 Travelling north through Killarney brings you to the northern part of the Ring of Kerry and Killorglin, with routes onto the Dingle Peninsula and to Tralee. There is a wealth of local things for a youth group or outward bound group to engage in. Alternatively you can use the grounds for your activities/training whilst enjoy the spectacular setting of Ireland's premier National Park.